Montánchez — From prehistoric times to the modern day. Based on the objects discovered in different areas of the village, such as lightning stones and axes, we can ascertain that there were prehistoric Iberian civilisations in Montánchez, which may have been Vettones. During the Reconquest, the fortress changed ownership several times. In 1166 it was conquered by the Christians and was once again recovered by the Arabs in 1196. Finally, it was captured by Alfonso IX in 1230, becoming a part of the Order of Santiago. When the infants of Aragón, fortified in the castle of Montánchez, rebelled against the Crown in 1429, after several attempts to reclaim it, it was Álvaro de Luna who finally recovered it for King John II. 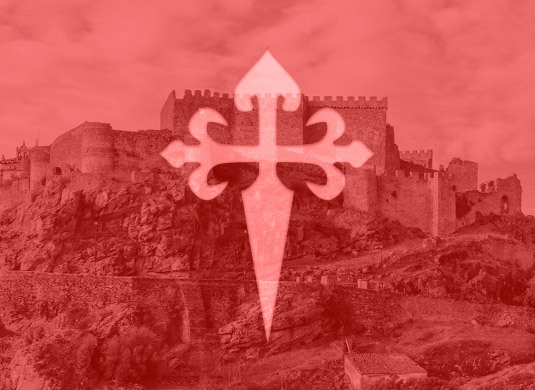 When it became the scene of the Beltraneja conflict, Alfonso de Monroy, Master of Alcántara, took control of the castle, and after a long siege that lasted for years, the Crown was not able to recover it until the peace treaty was signed in 1477. From the 13th Century, when Montánchez was granted a privilege of jurisdiction by Ferdinand III for the government of the entire population, the community of the Town and Land of Montánchez comprised of 14 municipalities with their own jurisdiction and privileges. Thereafter, Montánchez achieved significant hegemony as a major convent Encomienda (Commandry) and Treasury of the Order of Santiago. In the 16th Century it became a judicial district with governors under the Habsburg reform.